Like any thing has two sides, hackers can both malicious attacks damage, the same can also use their own technology to find the system vulnerabilities, defects, etc., and then notify the relevant enterprises to repair has been better protection. But for whatever purpose, for hackers, the use of tools and scripts are essential. The so-called good work, we must first of its profits, this article will be introduced for everyone to introduce a very popular hacking tools for everyone to choose to use. Hackers can use the user’s IP address to track and spy on their data. It is also called “IPScan ” , that is, through the IP address and port scan to find the user system into the method. It is an open source cross-platform software, is currently one of the most effective hacking tools, network management, system engineers favorite. Its pre-installed a lot of penetration testing software software, and in terms of hardware has also been greatly improved to support a large number of desktop environment. 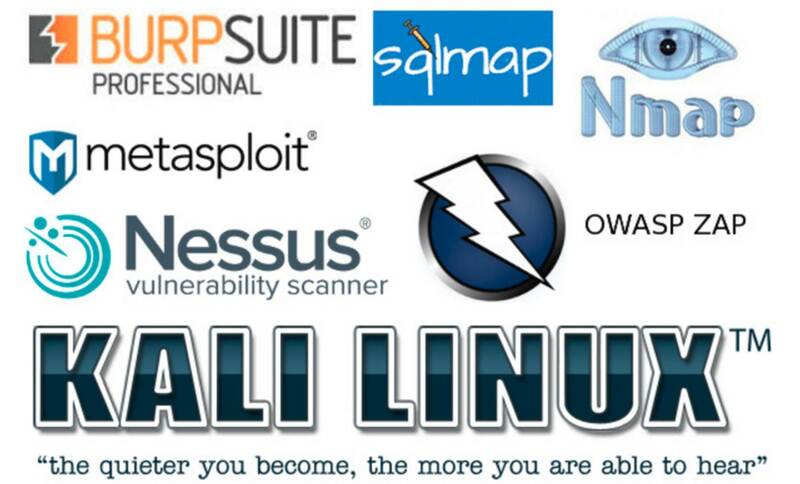 .Kali Linux is a security-oriented concept of the operating system, you can run CD and USB drivers anywhere. By using its pre-installed security tools, you can crack Wi-Fi, fake networks, and test vulnerabilities. Cain & Abeld is a free password recovery and network sniffing test tool developed by Oxid.it for the Microsoft operating system. It is very powerful, you can sniff the network, network cheating, crack encryption password, decode the password to be disrupted, display the password box, display the cache password and analysis of routing protocols, and even listen to the network of others use VOIP to make calls. Burp Suite is an integrated platform for attacking web applications. It contains a number of tools and designs a number of interfaces for these tools to facilitate the process of accelerating attacking applications. All the tools share a powerful, extensible framework that can handle and display HTTP messages, persistence, authentication, proxy, log, and alerts. Spider is one of the most important components, able to perceive the application of the web crawler, you can completely enumerate the contents and functions of the application. Ettercap is a powerful trickery tool for Linux, and of course Windows can be used. Through which you can create and send fake packages at fly speed and send packets from the network adapter to the application software at all levels. Bind the listening data to a local port: connect to a port from a client and be able to decode the data for unknowns or insert the data (only in arp-based mode). This is a very popular tool, as long as its successful operation, hackers can target the use of a variety of different attacks. John the Ripper is a free open source and can quickly pass the password crack tool for the case of known ciphertext in the case of trying to crack the clear crack password software to support most of the current encryption algorithms such as DES, MD4, MD5, etc. The It supports a variety of different types of system architecture, including Unix, Linux, Windows, DOS mode, BeOS and OpenVMS, the main purpose is to crack the strong Unix / Linux system password. This tool is like its name, more direct and advocating brute force, the crack process depends entirely on the user, that is, just give it time, he always give you a good result. Metasploit is an open source security vulnerability detection tool that helps hackers identify security issues, validate vulnerabilities, and evaluate management-driven security to provide true security risk information. These features include intelligent development, password auditing, Web application scanning, and social engineering. Teamwork, in Metasploit and the synthesis report presented their findings. nmap is certainly THE scanner to know. Thanks to its numerous parameters, it is a swiss army knife to all situations where network identification is needed. It enables among other things to list network hosts and scan their ports. Interactively dump and analyze network traffic. Wireshark is a GUI network protocol analyzer. It lets you interactively browse packet data from a live network or from a previously saved capture file. Wireshark’s native capture file format is libpcap format, which is also the format used by tcpdump and various other tools. Aircrack-ng is an 802.11 WEP and WPA-PSK keys cracking program that can recover keys once enough data packets have been captured. aircrack-ng is an 802.11 WEP and WPA/WPA2-PSK key cracking program. It can recover the WEP key once enough encrypted packets have been captured with airodump-ng. This part of the aircrack-ng suite determines the WEP key using two fundamental methods. The first method is via the PTW approach (Pyshkin, Tews, Weinmann). The main advantage of the PTW approach is that very few data packets are required to crack the WEP key. The second method is the FMS/KoreK method. The FMS/KoreK method incorporates various statistical attacks to discover the WEP key and uses these in combination with brute forcing. Additionally, the program offers a dictionary method for determining the WEP key. For cracking WPA/WPA2 pre-shared keys, a wordlist (file or stdin) or an airolib-ng has to be used. THC-Hydra is a very fast (multi-threaded) network logon cracker which supports many different services: afp, cisco, cisco-enable, cvs, firebird, ftp, http-get, http-head, http-proxy, https-get, https-head, httpsform-get, https-form-post, icq, imap, imap-ntlm, ldap2, ldap3, mssql, mysql, ncp, nntp, oracle-listener, pcanywhere, pcnfs, pop3, pop3-ntlm, postgres, rexec, rlogin, rsh, sapr3, sip, smb, smbnt, smtp-auth, smtp-authntlm, snmp, socks5, ssh2, svn, teamspeak, telnet, vmauthd, vnc.